Have you ever left your house and forgotten if you had turned off the heating or put on the alarm? Those fears could soon be resolved thanks to Microsoft, who are developing software at present that will allow you to control your house’s climate, security, PCs, peripherals and appliances on the go. The company’s research arm has started testing its home automation software called HomeOS, in a number of US homes in the past few months. The budding system views smartphones, printers and air conditioners as network peripherals, controlled by a dedicated gateway computer. The project has a handful of apps in play, which perform functions like energy monitoring, remote surveillance and face-recognition. Like a personal computer that instantly recognises attached devices such as a USB mouse, Microsoft is seeking to overcome the problem of getting various, currently incompatible devices to communicate with each other. This would make adding new devices to the network as simple as plugging in a USB mouse to a computer. Google’s Android@Home project promises similar functionality, but maybe Microsoft’s ace in the hole will come from the HomeOS HomeStore. Following in the footsteps of Apple’s App Store and Google’s Android Market, this is an app store of sorts that will allow users to find and install third party apps. Like the Android model, developers can target a type of device of a single device, meaning users will have the benefit of apps made for niche devices. With the amount of technology now found in the average home only set to increase, it seems it’s only a matter of time before someone is able to bring the various devices together under the one roof, as it were. 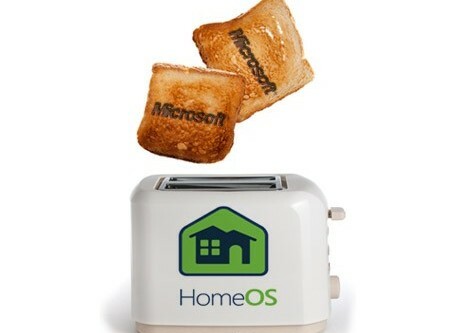 While Microsoft certainly has the financial and technological teeth to put it in a good position to lead the smart home charge, there’s still quite a few steps it needs to make before HomeOS is ready for primetime. As it will probably struggle to launch a home revolution on the back of the struggling Windows Phone platform alone, making the “Home Maestro” home control app compatible with Android and iOS is a necessity. For further details on HomeOS click here. Over 1,100 ghosts estates in "problematic condition"